Representatives of the Branson R-IV Education Foundation were recently presented with a check in the amount of $8,000 from Grand Country. 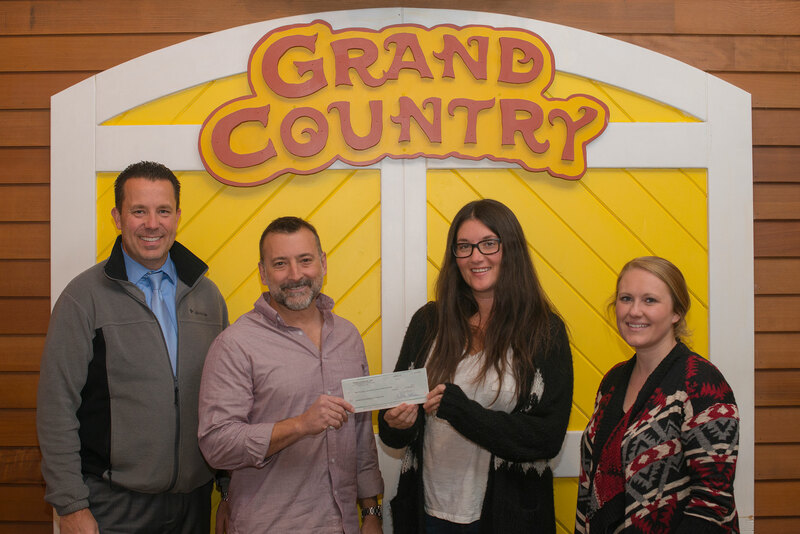 The Foundation was chosen to be the recipient of the proceeds from Grand Country’s 2016 Inaugural Run Grand Country race that was held on October 2, 2016. Over 100 individuals participated in the 5K or Half Marathon course. The race entry fee, sponsorship donations, and a race day collection contributed to the generous donation. The 2017 Run Grand Country 5K and Half Marathon Race is slated to be held October 1st, 2017. Please visit their website for more information or to register early at: www.race.grandcountry.com. The Branson R-IV Education Foundation is a 501(c)(3) established in 2010, independent of the Branson R-IV School District, to establish a means for accepting financial donations and managing them under one roof. The Foundation helps fund additional programs within the Branson School District through innovative materials, experiences, and other necessary programs in the classroom. If you would like more information about the Branson R-IV Education Foundation, please visit: www.bransoneducationfoundation.org. Photo Caption: Jennifer Robinson of Grand Country presents race proceeds to Branson R-IV Education Foundation representatives, Bill Quigg, Chairman, Jonas Arjes, Board Member, and Lyndi Carnelison, Board Member. ← McTeacher’s Night is October 4th!